Liners are typically 29 gauge white steel (as shown). 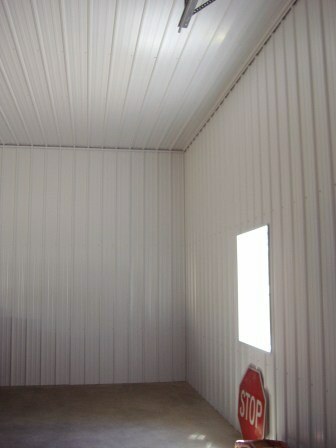 However, we can customize your building to your specifications. 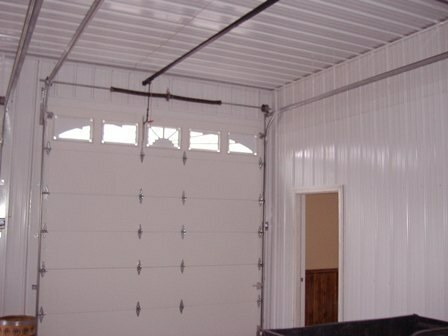 Whether you prefer PLYWOOD, DRYWALL, TONGUE & GROOVE BOARDS, etc... You are certainly not limited to steel. Steel is a great choice because of it's durability - you can spray it down to clean - as well as no shrinking/expanding because of temperature changes. 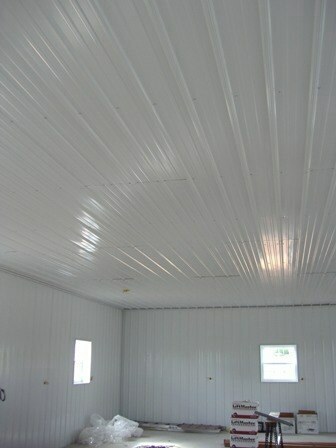 Most clients prefer a full insulation package behind the liner they choose. 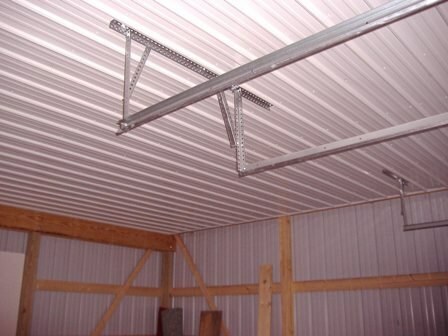 In most counties, R19 insulation is standard for walls, R38 insulation for the ceiling. As a word of caution, however, you should be aware of the disadvantage of installing drywall as a liner. Unless you intend to Heat and Cool the entire building 24/7, you WILL experience shrinking and expanding causing cracking. For this reason, we do not typically recommend drywall.